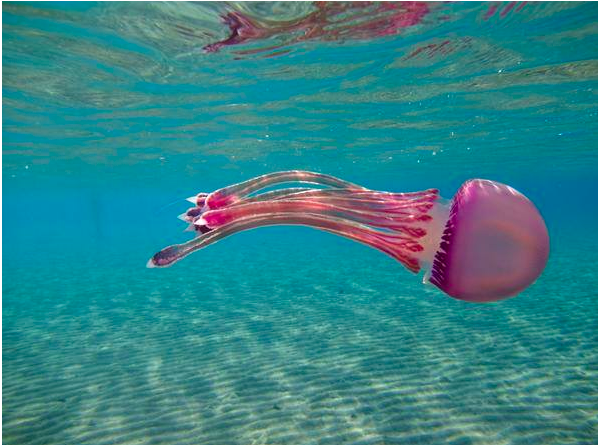 We know very little about these jellies, including what they eat and where they live most of the time. We do know that Thysanostoma are part of a group of jellies called Rhizostomes, which means they have have hundreds, possibly thousands, of mouths. Rhizostome jellies don’t have a single mouth opening, but instead lots of tiny openings spread over those long tendrils hanging off the bell. They use these tiny mouths to filter water and plankton. This is a good clue to how Thysanostoma make a living–they’re probably filter feeders. 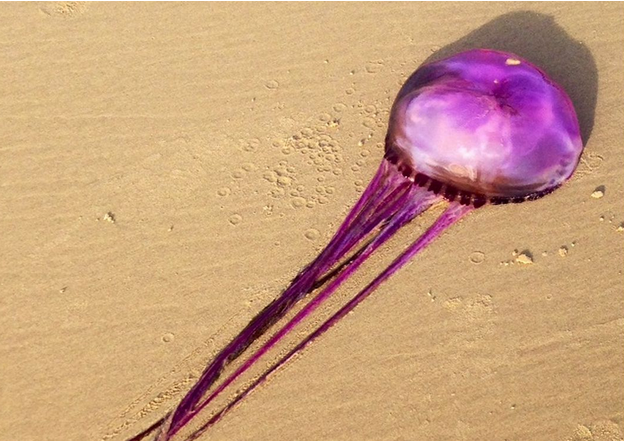 Is the new jelly washed ashore a new species? Without getting a better look, it’s impossible to know. Not all Thysanostoma are so vivid, but that doesn’t mean much. Jellies, like people, can come in a huge range of colors. Let’s hope this recent interest in Thysanostoma inspires more research on this mysterious group of jellies! 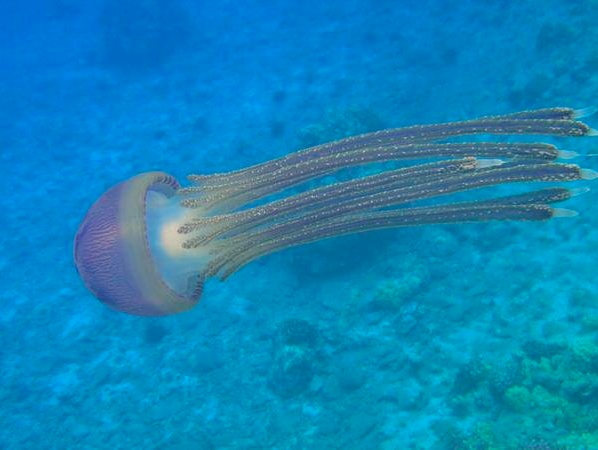 Thanks for your post and photos – it helped us ID one of our mystery jellies too ! Looks the same to me. What a beautiful place! We had one if these on Kingscliff beach northern NSW today. It was pretty much exactly the same as the one pictured just slightly smaller.